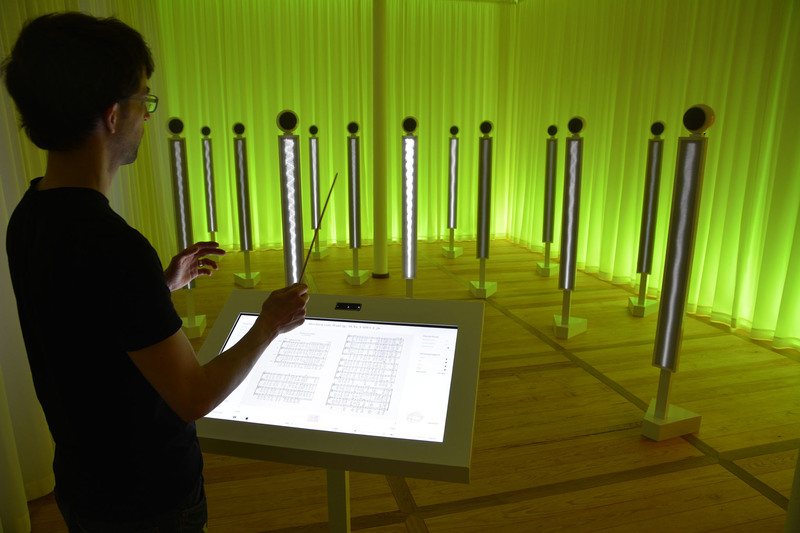 The Mendelssohn-Effektorium is a virtual orchestra at the Mendelssohn-Haus in Leipzig. It was developed and produced by WHITEvoid. 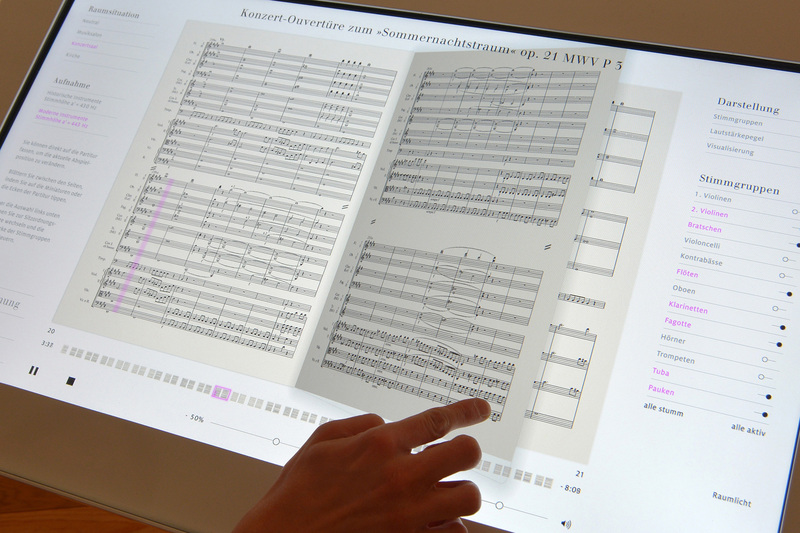 Markus Lerner was commissioned for the Screen Design and OpenGL software development. 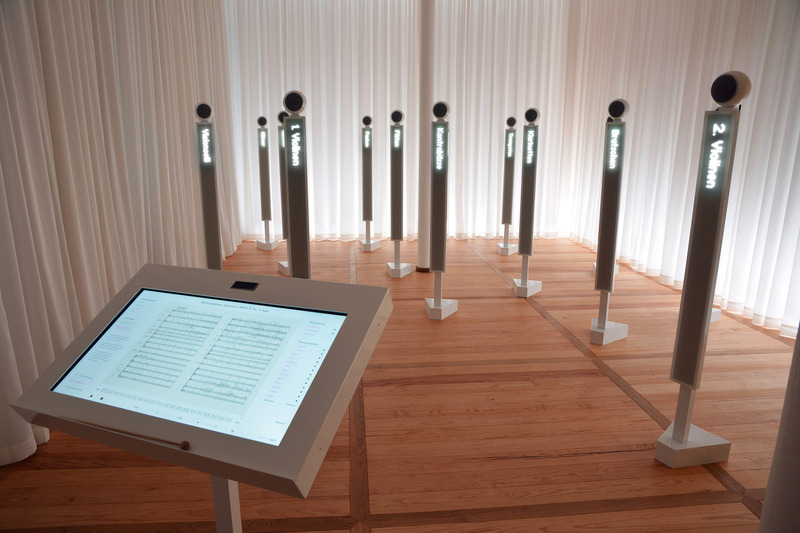 13 speakers with vertical displays are arranged behind a conductor’s stand, each one representing a different group of instruments or choir voices. 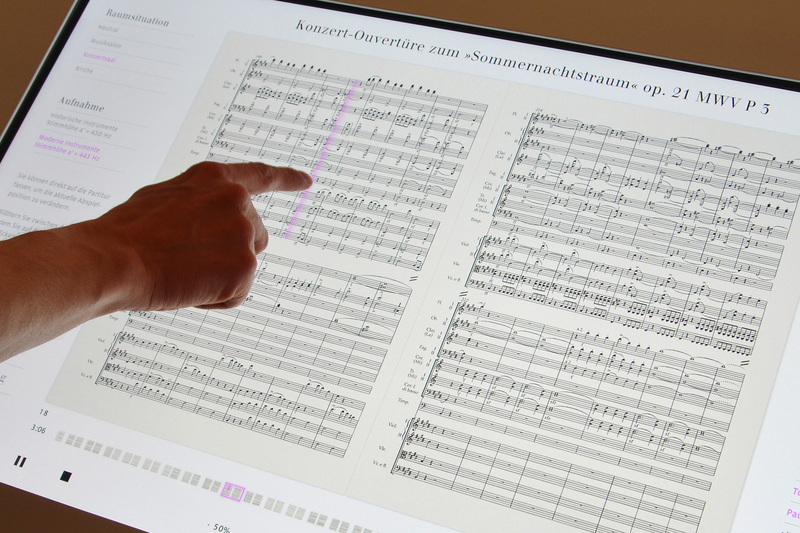 Visitors can select one of the works of Felix Mendelssohn-Bartholdy at the stand and conduct the virtual orchestra or choir by moving the coductor’s baton. 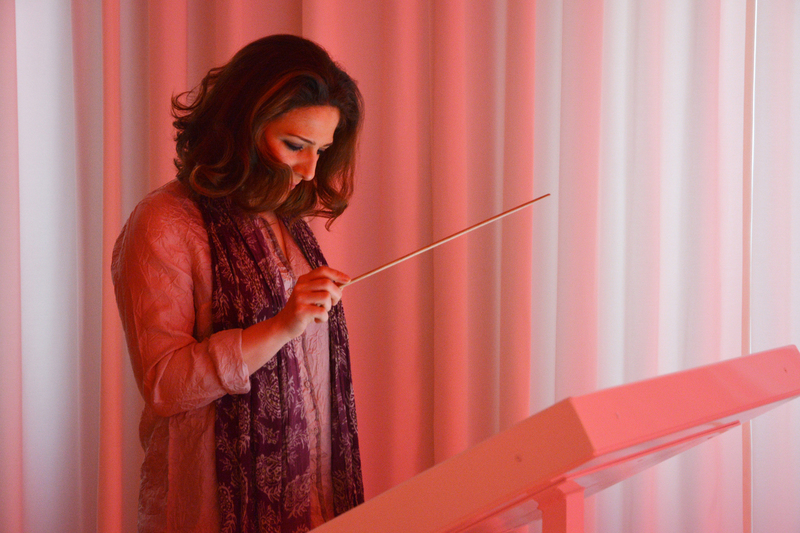 The speed of the recordings is then adjusted in real-time. 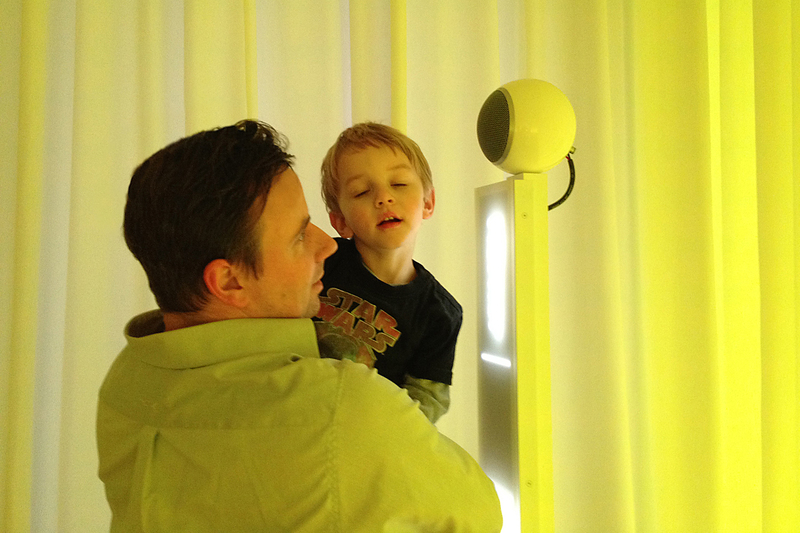 Voice groups can be controlled individually and different room situations can be set. 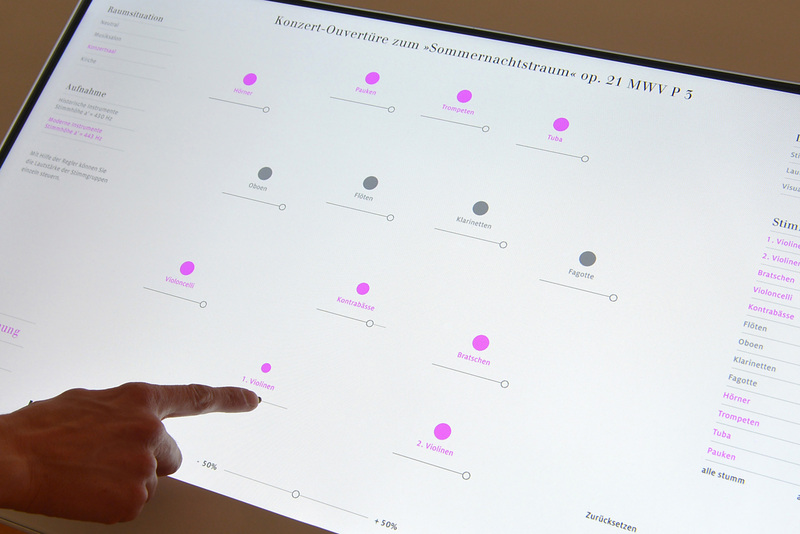 The installation also allows one to compare modern and historical instruments. 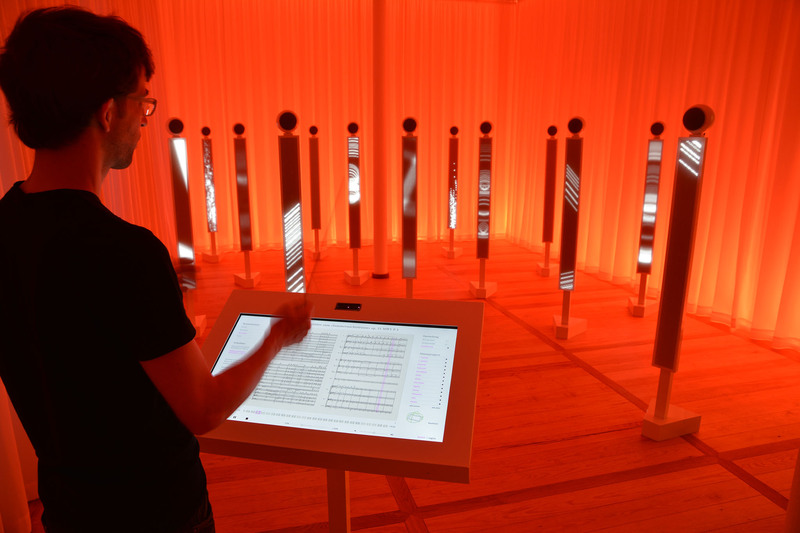 The vertical screens can display the names of the voices, the sound level or an artistic interpretation of the voice groups influenced by the volume and character of each instrument/voice. 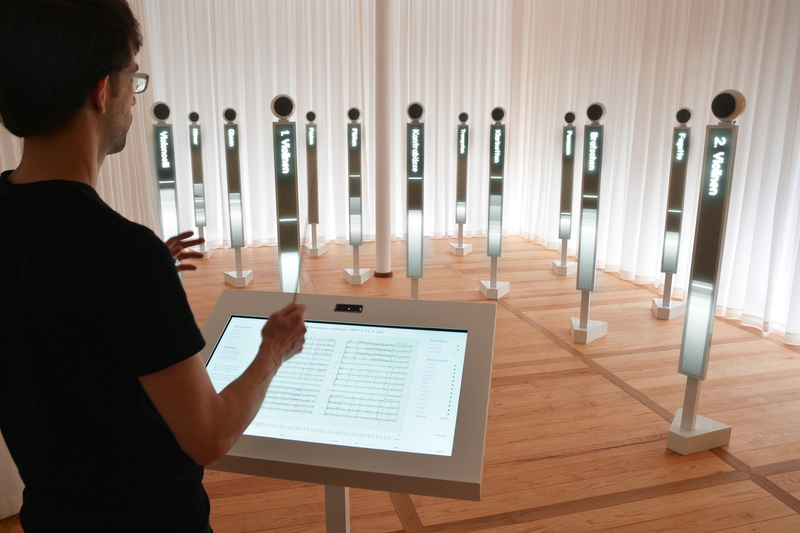 The idea for the Effektorium originated in the cooperation between Studio Bertron Schwarz Frey and WHITEvoid. Sound production and programming by Aconica.